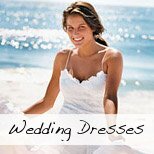 Are you a beach wedding bride or a beach wedding or destination wedding vendor? Do you want to submit your wedding to us to be featured on our website as inspiration to future beach wedding brides and an advertisement for your business? 2. Please include a description of the wedding, a complete list of vendor credits including urls to their sites. 4. Include a lot of detail shots (we are looking to inspire other brides) and let us know if you did any DIY projects for the wedding. 5. Please make sure that the pictures you send us are exclusive. We want to offer our readers something new and not pictures that have featured on other sites. Publications are ok, but let us know where they were featured in. You can upload a maximum of 20 photos with this form, but after upload you will be given the option to upload more photos or simply zip and email the photos to us at info @ beachwedding-guide.com.